2018 has been a weird one for movies in general; the highs have produced some of the best, most memorable pieces of cinema for ages, but the lows have been absolutely horrendous. Nowhere is this more apparent than in the horror genre. As more viewing platforms become available, the amount of horror movies getting decent exposure is on the rise with some hits, and some big misses. Here’s just a snapshot of what’s been unleashed onto the world. After a shaky start to the year post-Awards Season, the first decent blockbuster of the year arrived in cinemas thanks to Jim from The Office. A Quiet Place was a film that had a fair bit of promotion up to its release so it can’t really be considered a surprise hit, but for a decently budgeted, CGI heavy, Michael Bay produced blockbuster it definitely bucked the trend. John Krasinski was a surprisingly strong first-time director, and despite a bit of backlash after the original hype settled down, it still stands up as a formidable horror movie. Time will tell if A Quiet Place 2 (an actual film that is actually happening) lives up to the standard that the first outing set. The early half of 2018 also gave us Ghost Stories; a curious little film adapted from a stage play of the same name. It’s an anthology of three stories framed in one man’s business of mythbusting hauntings, and while the middle instalment doesn’t completely work the spooks either side more than make up for it. Worth a watch once it hits On-Demand services! Hereditary made some substantial waves over the summer, dividing audiences into those who declared it the next Exorcist, and those left scratching their heads at what they had just seen. There are definitely shades of grey here – it’s definitely stuck with me though I wasn’t blown away at first – but it was great to see an original horror film get such a large amount of coverage. I’m hopeful to see what director Ari Aster has up his sleeve next. The late summer/early autumn release schedule was pretty barren as far as quality goes (more on that later), so thank God for October bringing the goods. The main theme of horror this month seems to have been twists on 80s horror, as was evident by retro gore-fest Mandy, proving that it is possible to get even more crazy acting out of Nicolas Cage. It’s a proper revenge film that revels and basks in its blood and guts, and the weird kaleidoscopic imagery throughout gives it a really distinct look. Of course, no Halloween would be the same without Halloween, and there were two reasons to celebrate Michael Myers this year. Firstly we had the 40th anniversary of the original John Carpenter slasher, and then later in the month came the latest instalment which also saw the return of Jamie Lee Curtis to the series. It was a breath of fresh air for an increasingly stale franchise and genre, and offered a glimmer of hope that big studios were maybe willing to take chances with their most lucrative properties. Netflix has been steadily establishing itself as a film studio as well as a streaming platform for true crime series and cooking shows, and while there are some promising releases on the horizon (I had a chance of seeing some earlier this year), they didn’t start the year in the best form. The Cloverfield Paradox followed the form of the anthology series so far and was released hours after it was announced, much to everyone’s initial surprise. Unfortunately the end product wasn’t worth the intrigue: a confused mess with a disinterested cast and a cheap nod to the original Cloverfield film that was completely undeserved. If you haven’t caught it already, don’t waste your time chasing it up. Back to the topic of big studios and their precious franchises, yet another film in the Conjuring cinematic universe was churned out in the form of The Nun. It made a bunch of money of course, but was so dreadfully dull that it would come to no surprise if people demanded their money back after being subjected to a tedious 2 hours. This year’s award for the absolute nadir of cinema in any genre though, goes to The Predator. Quite possibly the worst thing I have seen in many years (this year alone that’s saying something), it’s an embarrassing waste of a film that should haunt everybody involved – except for Olivia Munn who did her best. From any director it’d be bad, but for Shane Black it’s unacceptable. Bottom of the barrel, worst in show, The Predator deserves to be torn to shreds by rabid alien dogs. There may well be some surprises down the line for horror fans – the remake of Suspiria is getting good notices ahead of release and Overlord looks like a lot of fun – but otherwise there’s not a lot to get excited for horror-wise for the rest of 2018. There are of course a raft of films I haven’t mentioned above that, for me, don’t really fall into any noteworthy category but may well be one you’ve taken to fondly. 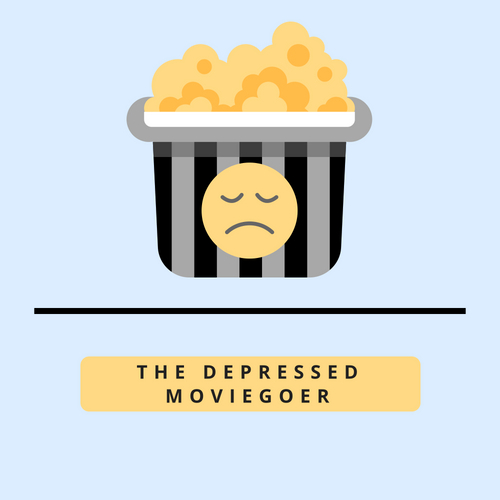 If you do think I’ve missed anything above, or feel that one of the films I’ve mentioned deserves to be in the opposite list, please let me know in the comments below or you can catch me on Facebook, Twitter, Instagram or drop me an email at thedepressedmoviegoer@gmail.com. For now, have a very Happy Halloween – don’t have nightmares!